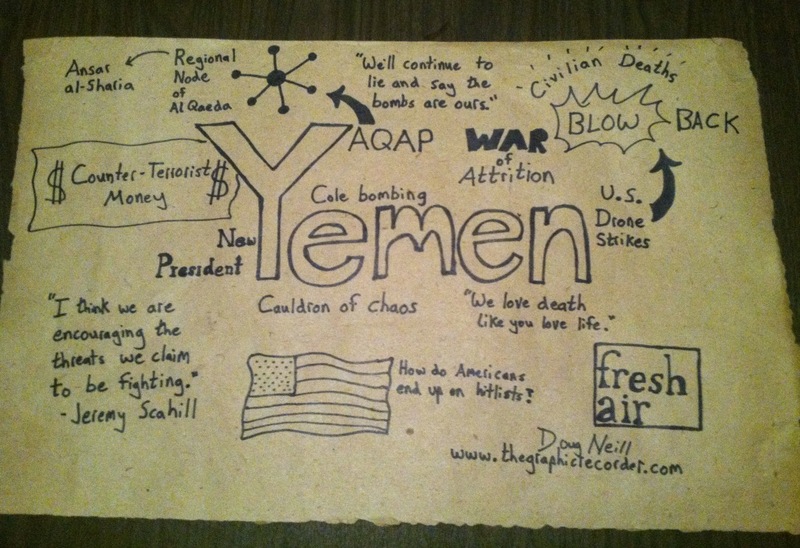 The graphic above depicts some of the ideas that arose in a conversation between Terry Gross and Jeremy Scahill on a recent episode of NPR’s program Fresh Air. The two focused on Yemen and its role in the war on terror. Scahill’s perspective as a journalist who was on the ground in Yemen provided a fresh viewpoint that contrasted the more obfuscated reports coming from government officials.